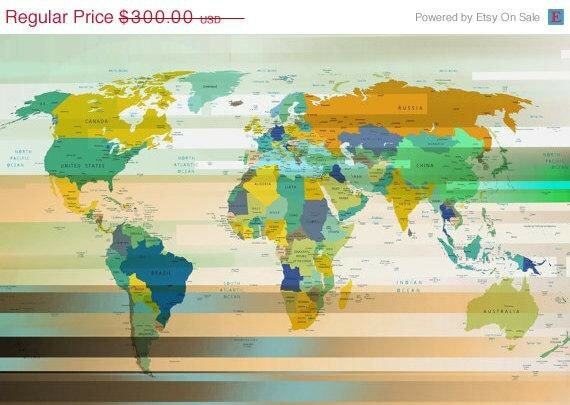 Modern World Map 24 x 36 Large Canvas Art Print. Large Wall Art for Home. Maps Print. Home Decor. Abstract Map. Wall Decor by Irena Orlov. Modern World Map 24 x 36" Large Canvas Art Print. Large Wall Art for Home. Maps Print. Home Decor. Abstract Map. Wall Decor by Irena Orlov.